After a month of solid work, I now own Super Hang-On. 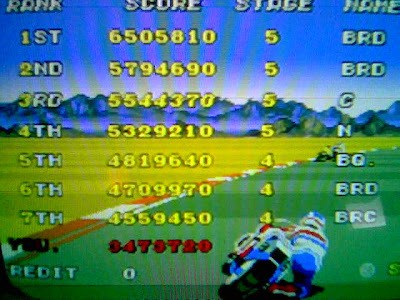 All of the scores on this screen are mine except for 4th place. It's damned hard to key in your initials on some of these old games and I screwed up a few times.